When does development begin? How do you teach math and science to a preschooler? What grows a young child’s brain? Why does environment matter? How come relationships are so important? Is discipline necessary? What’s the big deal about play? Answers to these questions and more are found in our early childhood program. Students are challenged with the latest findings in research on topics such as prenatal memory, curriculum design, autism and other developmental disorders, attachment, and brain development. 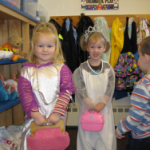 Students learn strategies and develop skills to work successfully with young children in a variety of situations and settings. 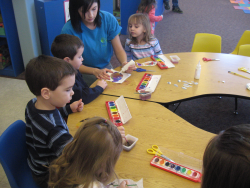 The Early Childhood Occupations program exposes students to a wide array of career options in the early childhood field, including Early interventionist, developmental therapist, early childhood/elementary teacher, childcare provider, social worker, business manager, just to name a few. Students earn certifications in first aid/CPR, as well as the state recognized CECA (certified early childhood assistant). Students also earn up to 12 college credits. These credits can be used at all community colleges and most universities in Maine.